This one could be a little tough. More challenges are now available in Fortnite: Battle Royale as part of the Ice Storm event. 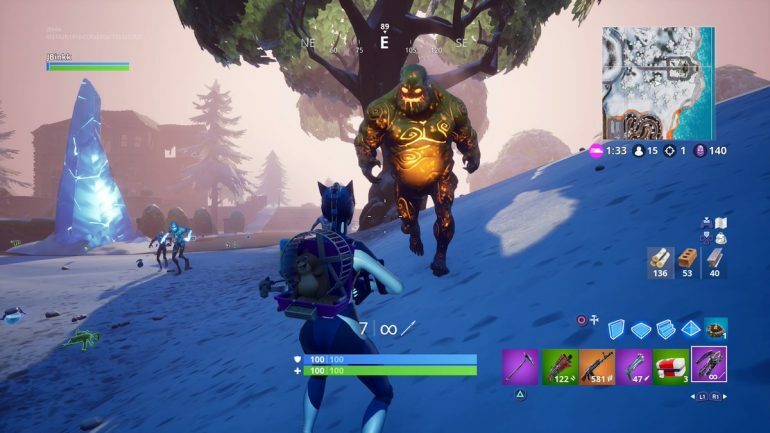 This time, Epic Games is sending players on a slaying quest all over again in search of the hard-to-find Golden Ice Brutes that spawn around the map. Epic wants you to kill 20 of these, which is no easy task. To start this quest, you’re going to want to scout around for one of the many Ice Crystals and wait for some Ice Legion creatures to spawn. Unlike the other three common enemies, however, there’s no guarantee that a Golden Ice Brute will spawn at an Ice Pillar. These Golden Ice Brutes will always drop a rare weapon and they have their own individual health bars since they’re so difficult to beat. They’re also a bit larger than the standard Ice Brute. Some players have theorized that you’re more likely to see a Golden Ice Brute the longer the game goes on, but that hasn’t been confirmed at this time. The only way you’re going to beat this challenge is to have a little patience and a lot of luck. 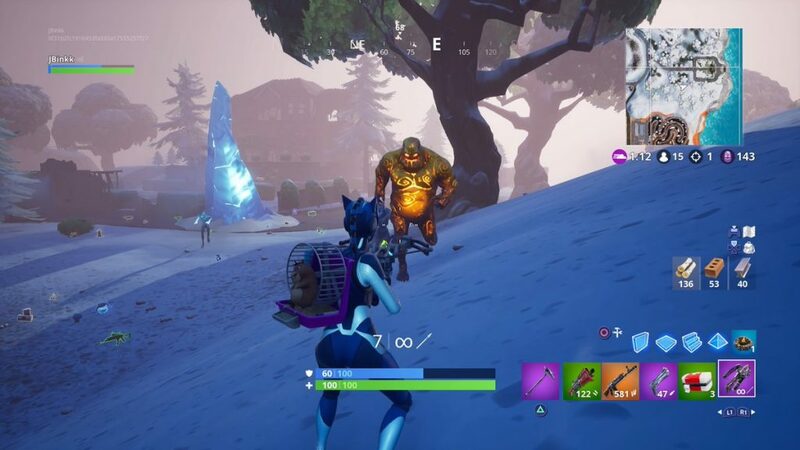 Kill 20 of the Golden Ice Brutes and you’ll get 500 XP and be one step closer to completing all the Ice Storm challenges.